How to Read PDF Book with Kindle for PC? 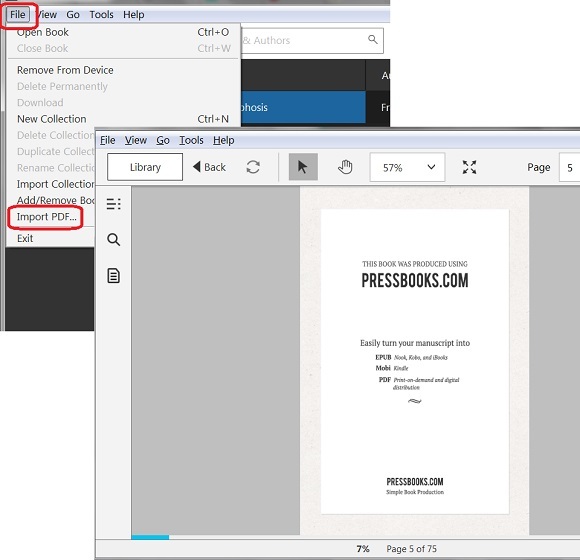 You can follow this tutorial to open and read a PDF book with "Kindle for PC". 1. Search and run "Kindle for PC" on your Windows computer. 2. Click "File > Import PDF..." menu. You see the open file screen. 3. Locate and select the PDF book you want to open. You see the first page of the book displayed.